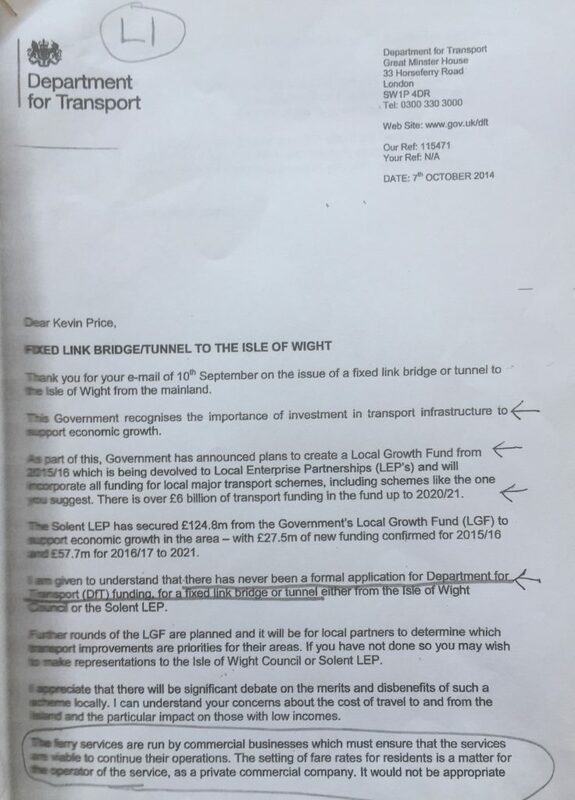 This Letter started the Fixed Link Campaign. 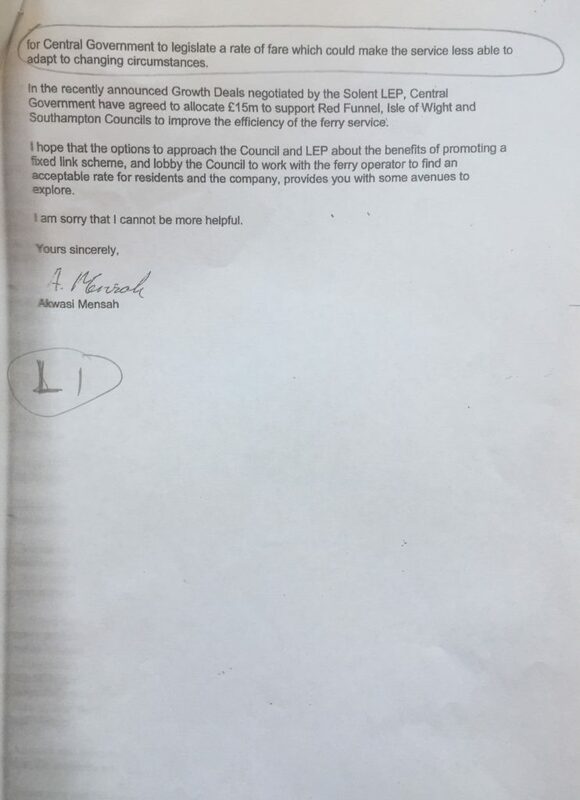 It states that an IOW Fixed Link (or study) has never been requested by any Council or MP. It also states that central government will never interfere with the two IOW ferry companies, to regulate or control them.